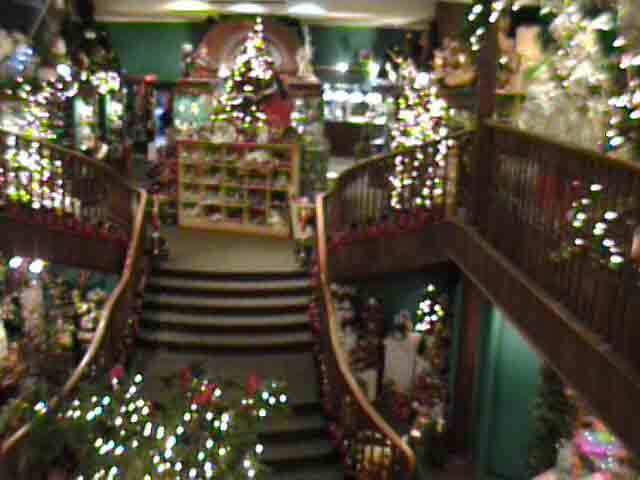 Pictures of Santa's Castle - The Home of Christmas! Would you like to see photographs of Santa's North Pole home? Well right this way! Good Morning Santa! We're here for a quick tour. I see Mrs. Claus has been busy putting out Christmas knick knacks again! Surprise! It's Frosty the Snowman dropping by for a visit. 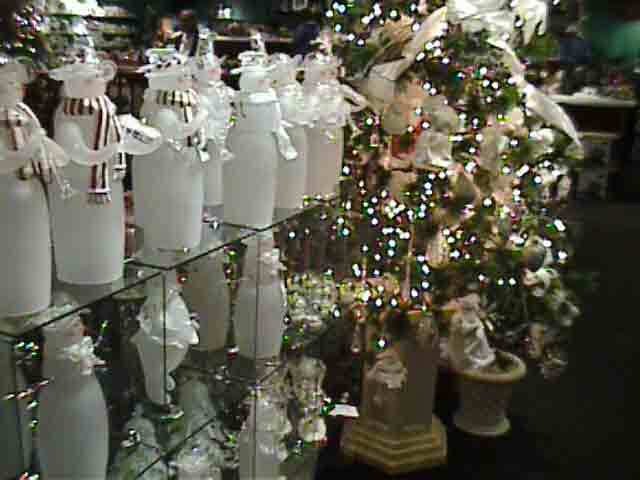 Here are some frosted glass Snow Ladies the elves made. Did you know frosted glass was named after Frosty the Snowman. He did invent it after all! 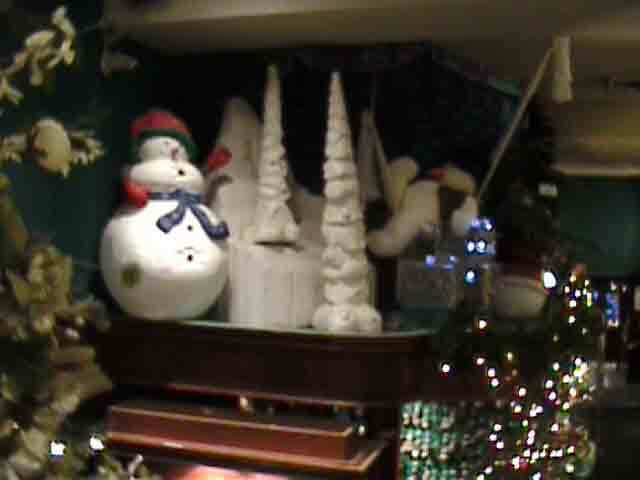 Speaking of Frosty, here are some Snowman trinkets. 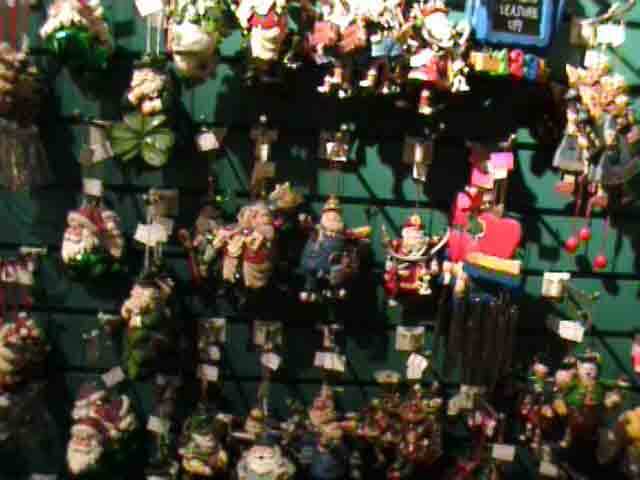 Mrs. Claus loves to arrange the knick knacks the elves make and put them up around the house before Christmas. 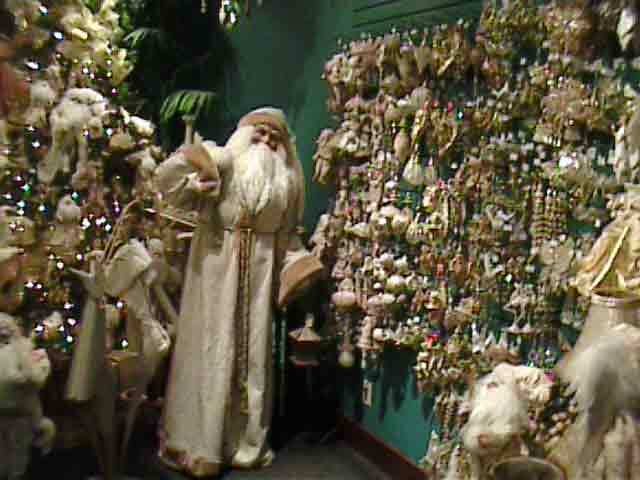 This is where Mrs. Claus puts all the Santa trinkets. She gets a real laugh out of all the funny outfits the elves make for Santa. There's a cowboy Santa and a farmer Santa and a fireman Santa! Up the stairs to another part of the Claus' house. With all the Christmas lights, it's rather pretty isn't it?! 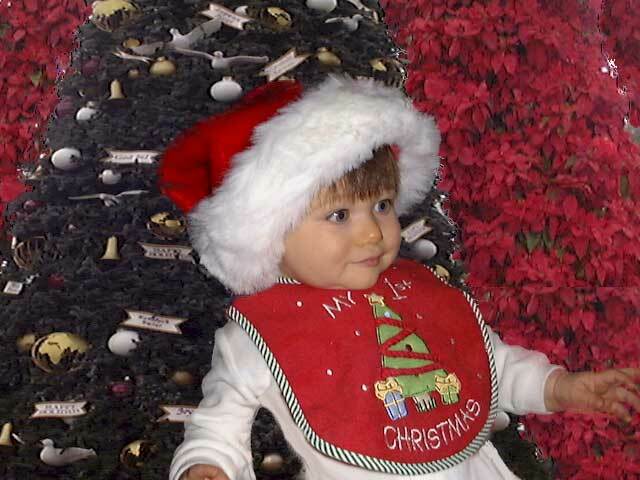 Who's In This Christmas Photo? Did you know that Santa and Mrs. Claus had a baby?! That's right! The elves call her Mackenzie Mouse and she was born on December 31st! 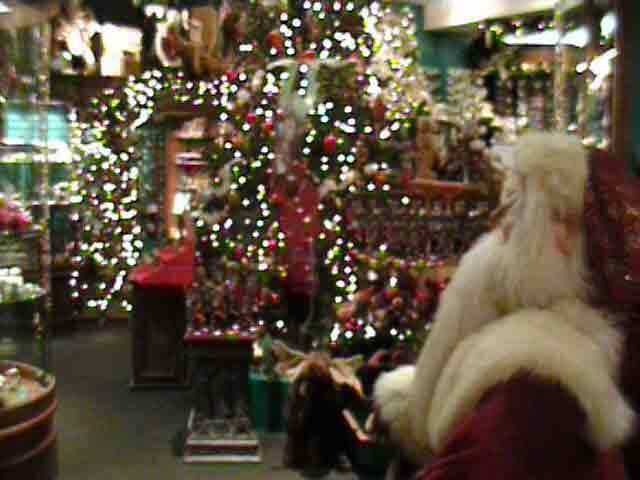 Here's Santa again, showing us where he keeps the Naughty & Nice list. That's a pretty big list of boys and girls! 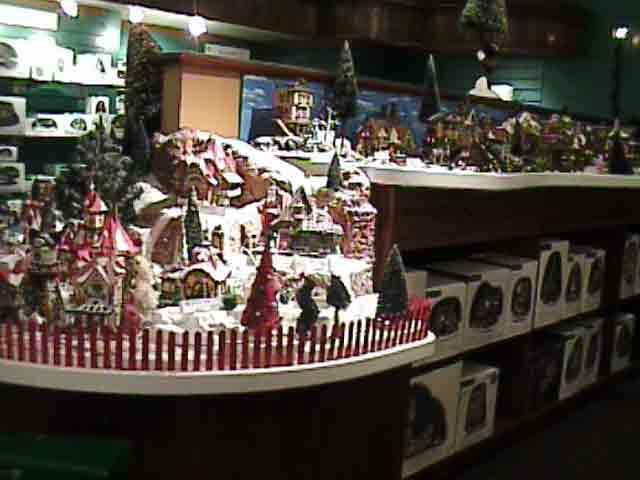 The elves made a little Christmas Village for Santa. Everyone loves playing with the little train set. Can you see the train? 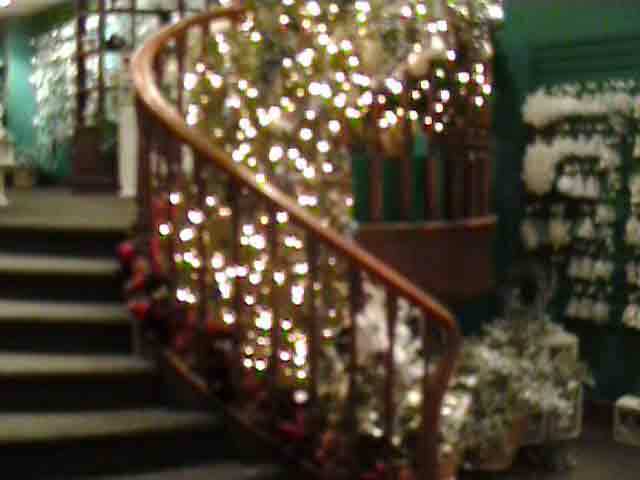 Stairs to another part of Santa's house. With all the sparkling lights, it looks just like Christmas here! And Down The Stairs Again! Another part of Santa's home. 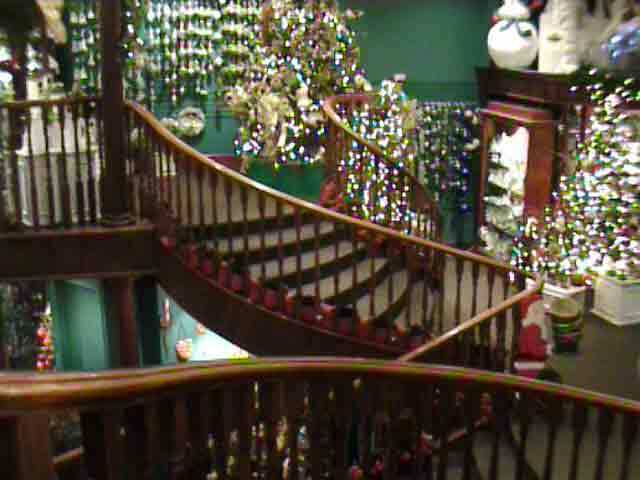 Follow these stairs down to Santa's Workshop. 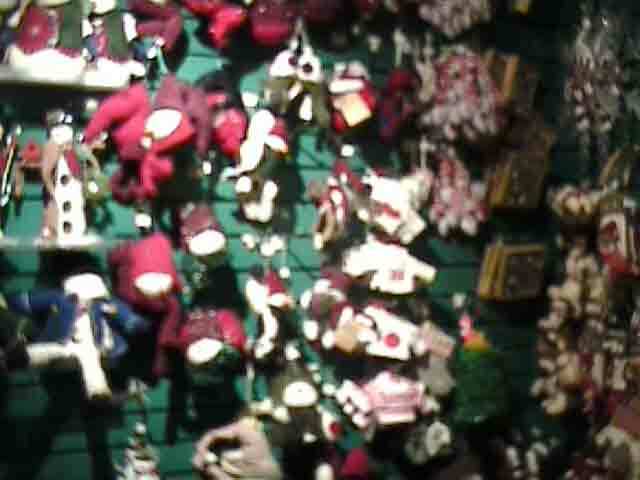 That's where all the elves are busy getting ready for Christmas. 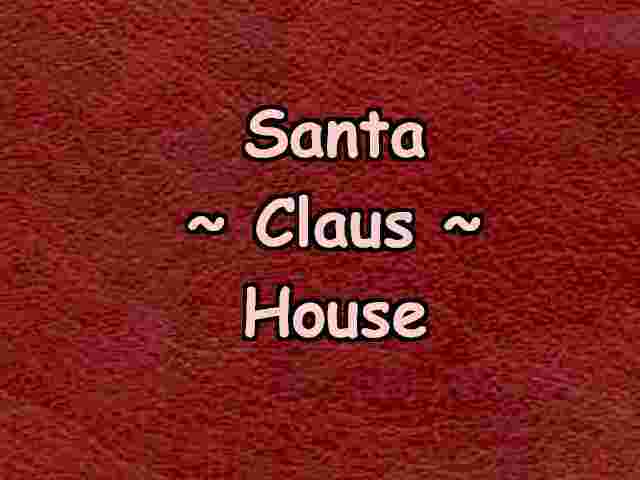 Tweet about Santa's North Pole home!